Do you need some extra taste and juiciness with your poultry? Party Fowl Poultry Brine is your answer! 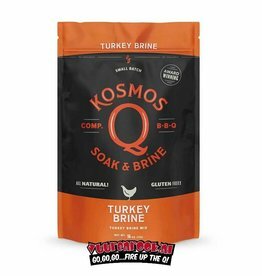 Sweet, creamy and savory are all the taste tones that you will find in this perfectly balanced cold water brine. It is no longer necessary to "figure out" your brine, it is ready for immediate use. 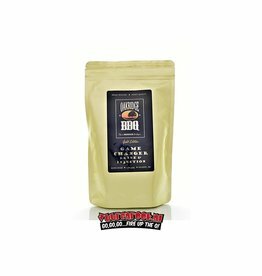 Party Fowl has been tested and proven on the BBQ circuit, this brine is a winner! Ingredients: salt, sodium phosphate, sugar, brown sugar, honey powder (maltodextrin, honey), Worcestershire powder (dextrose, garlic, cellulose gum, mustard, malic acid, onion, natural flavors), spices chicken broth concentrate (chicken broth), hydrolyzed corn gluten with safflower oil natural butter flavor (enzyme-modified butter, dehydrated butter, baking powder, guar gum, sodium bicarbonate, annatto and turmeric) and caramel color.